If I asked you where Jeans were invented I be your first guess would likely be AMERICA! Or maybe it would be China – given where most of the things we buy are made. Fact is you would me mostly correct. Even though the fabric that today we call Denim comes from Nimes, France – the denim work pant and what has evolved into modern-day Jeans, was brought to you buy Mr. Levi Strauss – and Levi Strauss and Co. celebrates 140 years of an Iconic American brand today! “Levi Strauss came to the United States from Germany when he was eighteen. He worked for his family’s business in New York. He traveled about the United States selling cloth, thread, buttons, and other goods for his family’s business in New York. During the Gold Rush, Strauss’s sister moved to San Francisco and opened a store with her husband. They invited Levi Strauss to join them. Strauss went to San Francisco, bringing several bolts of cloth to sell for tents and wagon covers. The canvas cloth turned out to be the wrong kind for tents, but perfect for work pants. Strauss’s work pants became popular with miners and ranchers. These workers needed clothes that were sturdy enough for rough outdoor work. And what has sustained their success to this day? I would say it rides on both the strength of their brand: which has remained committed to an identity rooted in the hard-working, American-bootstrapping ethos. I would also say it has a lot to do with how they run their business. I have actually done a good amount of work for Levi’s over the years and if there is one thing I know for certain about that company, it’s that they have a relentless commitment to incorporating an understanding of human and cultural insights into their business. I have personally traveled the world on their behalf unearthing differences and commonalities among emerging middle class youth to help them develop an accessible denim and apparel brand for global youth. I have heard the stories of the project that lead to the structure of their recently re-launched women’s business – where there is a perfect fit for every body type (thanks to the tens of thousands of women’s who’s measurements they took around the world to figure out how to end the self-esteem draining jeans shopping process and create something empowering). And certainly no company is perfect but it stands to reason that they are doing something right. 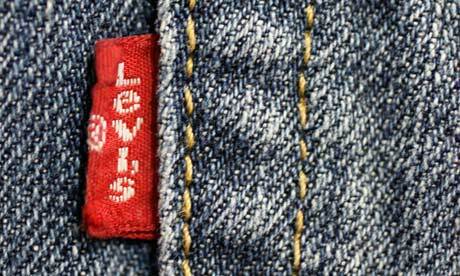 How many American companies or brands can you name that have stood the test of time like Levi Strauss? Chances are you can count them on one hand. So, today I give a Narcissistic Anthropologist shout-out to Levi Strauss for inventing my favorite article of clothing – JEANS! HAPPY BIRTHDAY LEVI’S. Stay Riveting. Awesome post. There is no better article of clothing than a great fitting pair of jeans!